It gives you brighter, younger and radiant skin and creamy masque is hydrating and helps skin regain moisture. 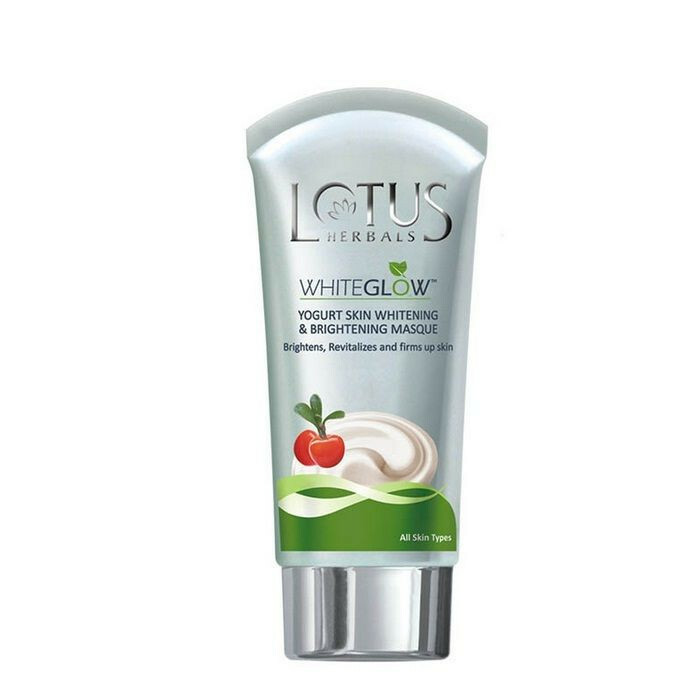 Lotus Herbals White Glow Yogurt Skin Whitening & Brightening Masque improves skin texture and makes skin firmer, giving you brighter, younger and more radiant skin. It is enriched with active ingredients like yogurt and bearberry, which not only nourish your skin, but also hydrate and help it regain moisture. Yogurt is rich in lactic acid that is an active skin lightening, anti-aging, firming and restructuring agent. Yogurt is also effective at cleansing and disinfecting pores, preventing acne and eliminating dead flakes to reveal a fresh glowing face. This face whitening and brightening masque has a thick creamy consistency that gives skin a very nourishing feel. It is easy to apply evenly all over your face and does not stretch your skin. With regular use of this brightening masque, your skin can look nourished and smooth, without any unwanted marks.